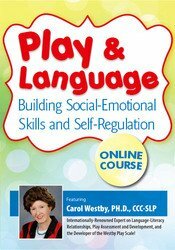 Carol Westby, Ph.D., CCC-SLP, is a fellow of the American-Speech-Language-Hearing Association (ASHA) and holds Specialty Recognition in Child Language. She received the Distinguished Alumnus Award from the University of Iowa’s Department of Speech Pathology and Audiology, the ASHA Award for Contributions to Multicultural Affairs and the honors of ASHA. For over 20 years, Dr. Westby has been principal investigator on a number of clinical service, research and personnel preparation grants, including Project LIGHTS, a personnel preparation program to educate speech-language pathologists, special education teachers and school psychologists to work with children with autism spectrum disorders; and Project PLAY (Play and Language Attunement in Young Children), which trained caregivers to increase the quality and frequency of interactions that promote development of theory of mind (ToM) and language. Dr. Westby developed a social-emotional program to develop ToM in young elementary school children who exhibit bully-like and victim-like behaviors. Dr. Westby is the developer of the Westby Play Scale, a checklist used to assess children's social and play skills. She has published and presented nationally and internationally on theory of mind, play, language-literacy relationships, narrative/expository development and facilitation, assessment and facilitation of written language, metacognition/executive function, and issues in assessment and intervention with culturally/linguistically diverse populations. Financial: Carol Westby is a consultant for Bilingual Multicultural Services. 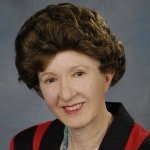 Dr. Westby receives a speaking honorarium from PESI, Inc. She is the author of numerous chapters and articles; and is published by various publishers including Jones & Bartlett and Pearson. Non-financial: Carol Westby is the developer of the Westby Play Scale. Dr. Westby is a fellow of the American-Speech-Language-Hearing Association.